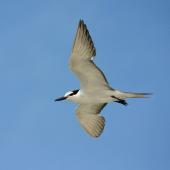 The grey-backed tern is one of three tropical Pacific tern species which are predominantly dark above and white below, in contrast to the paler dorsal colouration of most terns that live and breed in colder zones. 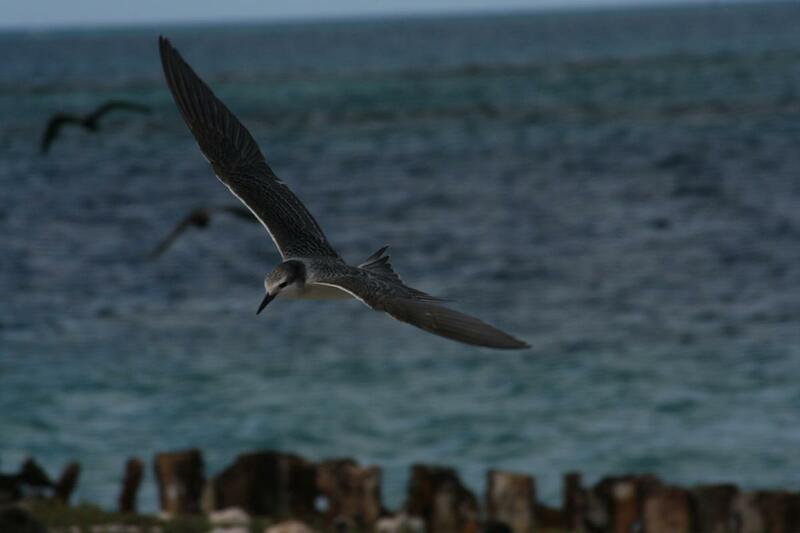 As with the related (similarly dark) bridled and sooty terns, the grey-backed tern is a highly pelagic species, generally staying at sea outside the breeding season. 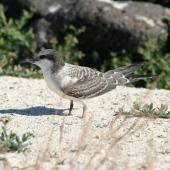 It is most common in the tropical Pacific, but the extent of its range is not well known. 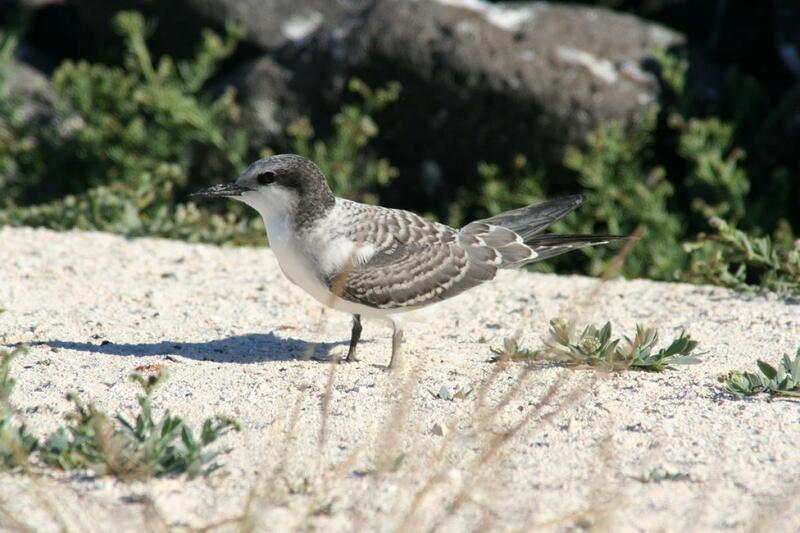 There are two accepted sightings from New Zealand, from the Kaipara Harbour and Taranaki. 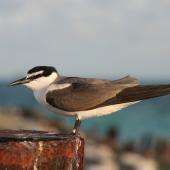 The grey-backed tern is a medium-sized tern, predominantly dark above and white below. As its name suggests, it has a grey back, but the wings are brownish-grey. In breeding plumage the black cap is markedly darker than the back and wings, and is separated from the bill by a white stripe that passes over the eye, ending level with the back of the eye. A black stripe runs from the base of the upper mandible through the eye to join with the lower edge of the cap. In adult non-breeding plumage, the black cap and dark stripe through the eye are faded and/or streaked with white. 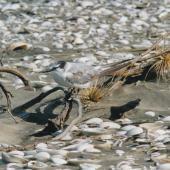 Similar species: the grey-backed tern is most similar to the bridled tern, differing mainly in the paler back contrasting markedly with the darker upperwings. 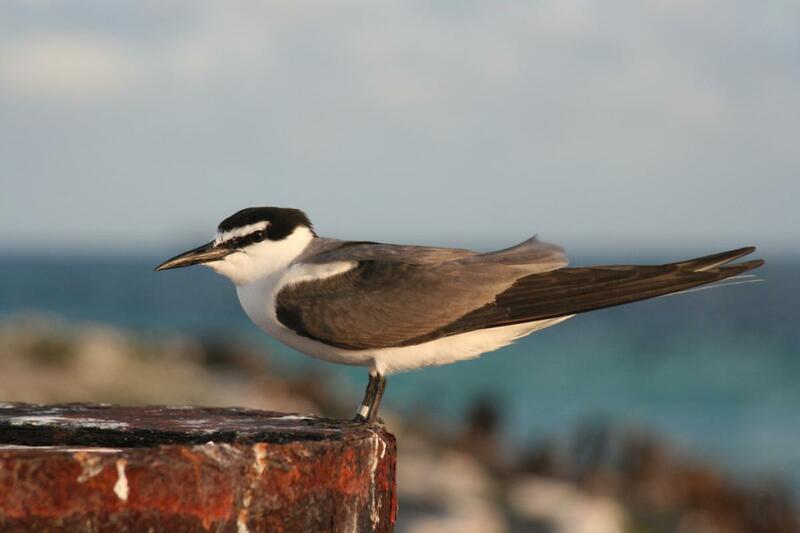 The sooty tern differs from both grey-backed tern and bridled tern in being larger, darker dorsally, and having the white on the forehead end in front of (not behind) the eye. 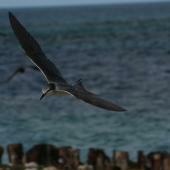 Grey-backed terns are known primarily from the tropics of the Pacific, breeding from Hawaii in the north (especially the Northwestern Hawaiian Islands) to the tropical islands of the central Pacific, and south as far as Fiji and French Polynesia. The full extent of its range is not well known, but it has been recorded west to Papua New Guinea and the Philippines and east to Easter Island. It was recognised as having reached New Zealand in 1999. 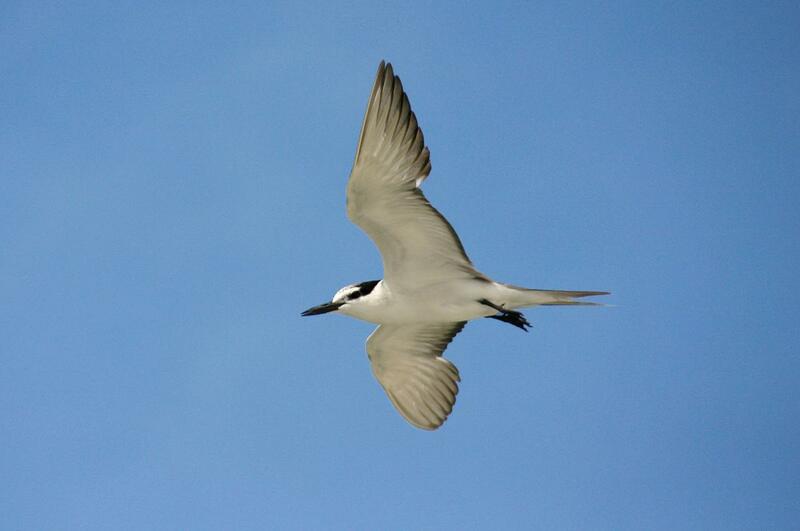 Grey-backed terns are mainly inshore feeders, and may roost on land near other terns or gulls. 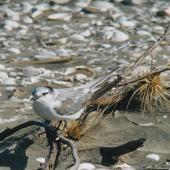 Single birds were seen at Papakanui Spit, Kaipara Harbour (February 1999), and at the mouth of Pungaereere Stream, Taranaki (January 2002). 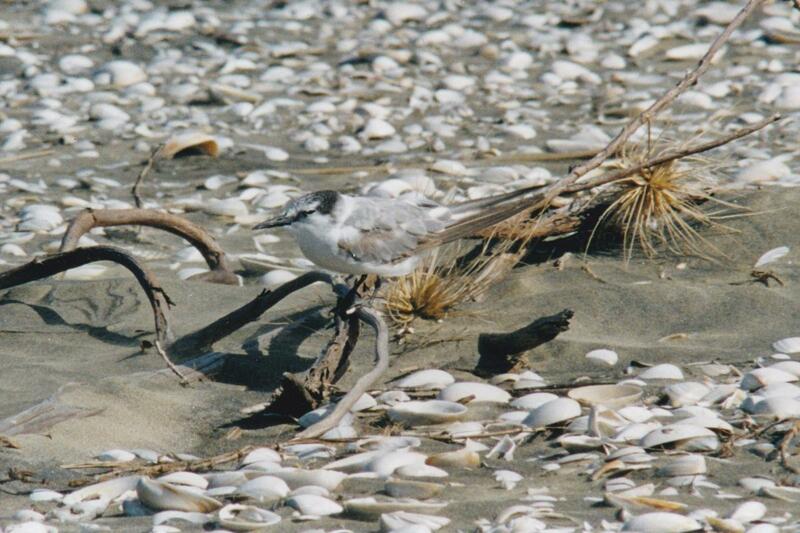 Grey-backed terns are gregarious, breeding in colonies and sitting together in flocks when roosting. 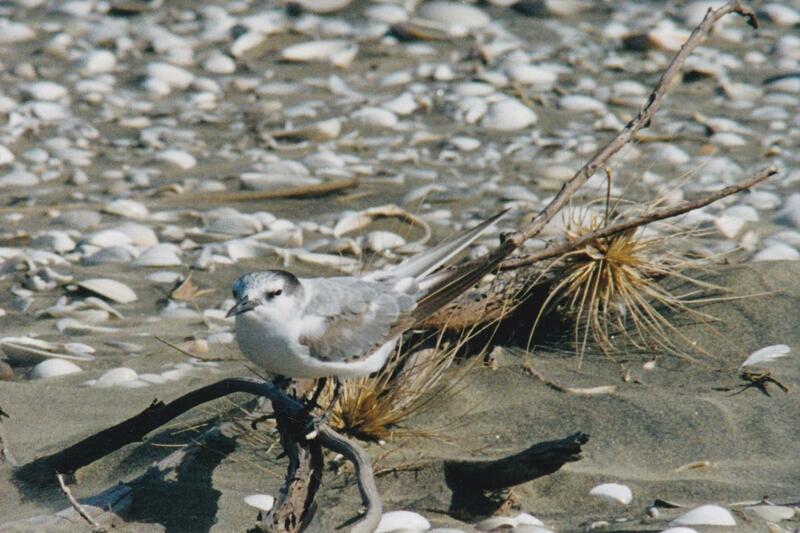 The first New Zealand sighting was of a bird near a flock of other terns, gulls and waders on a sandy beach. 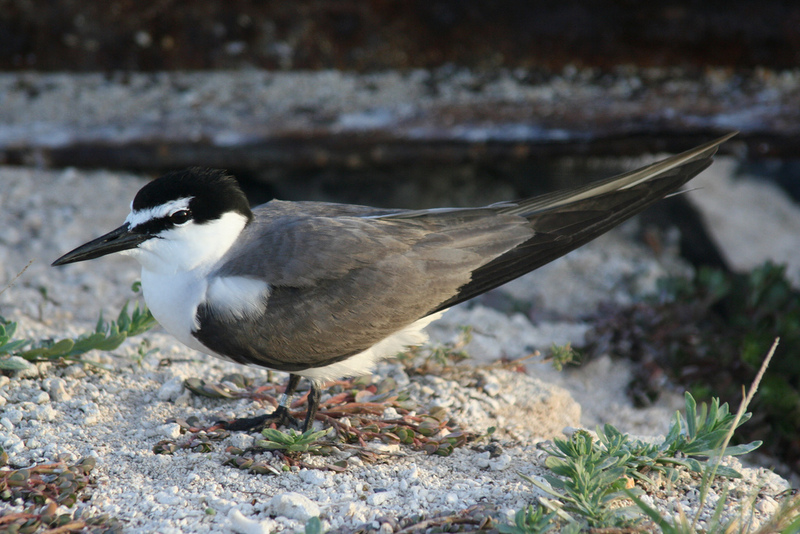 The grey-backed tern catches tiny fish and squid by plunge-diving and contact-dipping, often associating with feeding schools of tuna. Berger, A.J. 1972. Hawaiian birdlife. The University Press of Hawaii. del Hoyo, J.; Elliott, A.; Sargatal, J. 1996. Handbook of the birds of the world. Vol. 3: Hoatzin to auks. Lynx Edicions, Barcelona, Spain. Harrison, P. 1983. Seabirds: an identification guide. Houghton Mifflin Company, Boston. A medium-sized tern, dark above and white below, with a grey back and brownish-grey wings. The black cap is markedly darker than the back and wings and is separated from the bill by a white stripe that passes over the eye ending level with the back of the eye; a black stripe runs from the base of the upper mandible through the eye to join with the lower edge of the cap.